Tuesday October 2, 2018 - ODM boss, Raila Odinga, has laughed off claims by Deputy President William Ruto that he was out to destabilise the Jubilee Party. 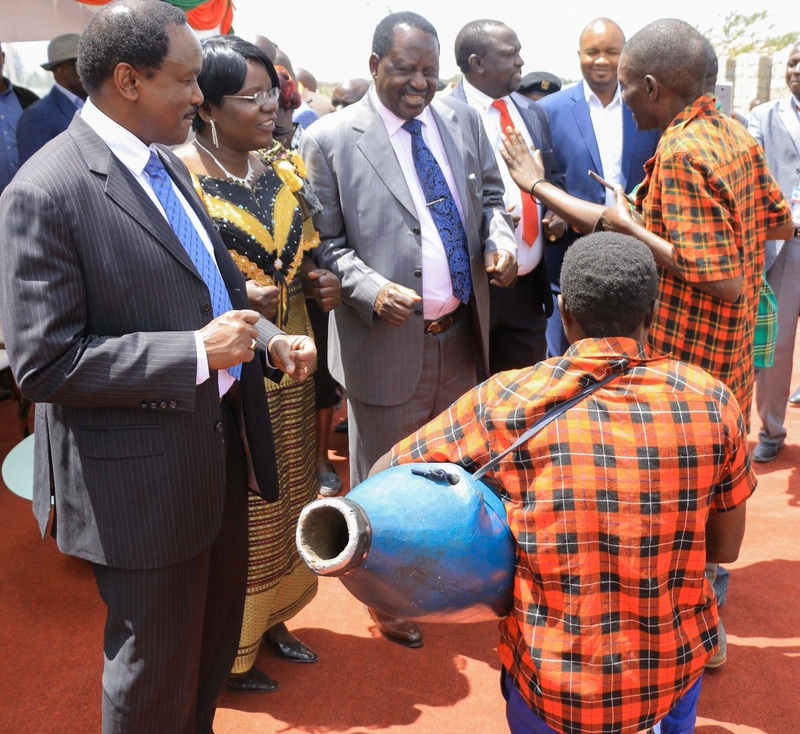 Speaking while presiding over the official opening of Katani Hospital in Machakos County yesterday, Raila took the chance to weigh in on attacks launched his way by the DP on Sunday. Raila alleged that Ruto was a drowning man and that he is in panic mode simply because of the war on corruption. “What is amazing is how others are barking like 'dogs' as if they already know they are guilty," Raila said. On the allegations of plotting against Ruto’s political ambitions, Raila reiterated his stance on the handshake, saying he only reconciled with President Uhuru Kenyatta to end tribal and economic divisions.